Imagine a no-name land anywhere in Africa where women and men are heavily persecuted by maroding (?) violating extremists. Nothing extraordinary, only a very realistic example of how human rights are violated and neglected. Imagine an African regional powerhouse with a political, social and religious gapping between North and South. Hate speeches and violent attacks between Muslim and Christian people erupting frequently. A small hate-message, a cartoon or a blasphemic comment could cause violent attacks in certain regions. This country stands in the middle of a controversial election campaign where a new president should be elected. Bad times for journalists and media? Of course not! The current elections in Nigeria proved that the opposite is true: the quality and the way digital content is distributed makes a significant difference. It is not by hazard that those two examples come from Nigeria, a country with one of the fastest growing Internet penetration rates in Africa. The dimension of what (social) media could do became evident during the recent recognizable power shift. The presidential elections in Nigeria went well – for journalists, media users, and for the voters: Long before the Independent National Electoral Commission (INEC) shared any official polling numbers, Nigerians who had volunteered among the 700,000 electoral officers shared the regional voting results of their polling stations. President-elect Muhammadu Buhari’s All Progressive Congress party’s lead in the vote last month quickly became apparent a few hours after polling units closed thanks to technologically savvy Nigerian voters using social media to share each step of the process. In this case, the high percentage of active and educated media users contributed to a peaceful, accountable and transparent voting process. These examples show: Citizen media and user generated content could raise political participation and accountability and simplify human rights fact-finding. Digital communication and Information is opening new ways to participate in political and social processes. It allows people to share and to connect. Moreover, it creates new possibilities to investigate on human rights’ violations and to put neglected or oppressed issues on the agenda. Non-governmental structures and journalists could use these potentials: They could directly include these new methodologies in their research process. In addition to that, digital communication offers new opportunities to learn and to increase knowledge. In its basic structure digital communication is inclusive. It could be an effective tool to enhance development. All this is possible right now, not tomorrow. So far the general assessment – let us take a closer look at African media reality and the current global trends which put this inclusive development target under challenges and risks. The biggest risk is censorship. The differences among African states when it comes to press freedom are tremendous. The ranking of reporters without frontiers 2015 puts Namibia on rank 17 – quite better than a lot of European states. Look at the forerunners in press freedom: Namibia, Botswana, Ghana, the Comoran Islands and South Africa. These countries courageously developed, shaped and liberalized their media markets. They offer a diverse and rich variety of media outlets. And they are all Middle-Income countries! But also Burkina Faso and Niger are showing up in the class „Satisfying“ – as well as France, Great Britain, Spain and Portugal. Many African media outlets suffer from serious structural weaknesses: no sufficient publicity markets, no economic basis for media outlets, interferences of owners, politicians and the lack of professional skills. Those factors create certain dependencies – be it by oligarchs or politicians. This makes African media fragile in many regions: A situation that becomes even worse during conflict or war times. We have to acknowledge some alarming trends in Africa, especially in the zones of current conflicts. Burundian government is offending journalists. The headquarter of different journalists associations in Bujumbura as the ‚Maison de la presse’ and the radiostations „Radio Publique Africaine” and “RPA Ngozi” have been closed down at the end of April 2015. These professional and independent media-houses are now voiceless. During the same period the number of aggressive and violent voices in the social media grew. Voices that escalate the conflict. On the 13th of May – during the attempted putsch – the Police fired with machine guns and grenades at buildings of four bigger private FM Stations (RPA, Bonesha FM, Radio Isanganiro und Radio Télé Renaissance).The head of the independent Media Association OPB (Observatoire de la presse au Burundi), Innocent Muhozi, reported that journalists have been physically threatened and intimidated before this attempted putsch. He also reported the existence of black lists with names of critical journalists. Since that day only the state broadcaster is able to broadcast – all other FM-radio-Voices have been silenced by government. We’re not only seeing the newly emerging political crises like in Burundi but also new trends like the growing religious conflicts especially in Nigeria where people and media find themselves pulverized between the religious fantasts and the governmental forces. In 2014 Reporters without borders counted 8 murdered journalists in the war countries Somalia, DRC, and Centralafrican Republic. Our colleague and Radiojournalist Elisabeth Blanche Olofio died in June 2014 because of a serious attack of militants of the Séléka-rebels. The allegation was that her “tongue was too sharp” (?). In some of these countries, where religious clashes and fundamental Islamist movements grow, new legislation decision block media freedom. There is a trend to put antireligious comments and reports under the suspicion of apostasy. One example is Mauretania, where the Blogger Mohamed Cheikh Ould Mohamed was sentenced to death because he “had fall off faith”. Before, he commented on the social order of his country and described it as “backward”. He also criticised some parts of the Koran. It was the first time since independence that the death penalty was applied because of apostasy. Another example is Somalia where one of the dominant Islamist movements „Union of Islamic Courts“ (UIC) published a code of conduct for media, demanding them to act in “strict cooperation with UIC” – which could be understood as an explicit intimidation to be conform. Fundamentalist groups like this, the IS, Boko Haram or others are using digital communication to a new extent. They question our political order, they operate in a networked manner and across borders – and they are using information and the Internet’s dissemination channels as a weapon. These new asymmetric wars and conflicts pose new challenges for the affected society, the international community as well as for media development. It’s a war over minds. And in Zimbabwe? On the 9th of March 2015, the human rights activist Itai Dazamara disappeared. The EU and the African Union requested clear efforts of the Zimbabwean government to bring light to his case and to stop increasing violations of human rights in the country. The alleged abduction of the leader of Occupy Africa Unity Square –an NGO primarily aimed at protesting and inciting mass action against the racial, economic and social inequality in South Africa – is only one disguising example of how fragile the human rights situation is. A war of Web 2.0 information emerged in which media are deployed as a weapon to a new extent: to publicize and frighten, to recruit and spread targeted misinformation. These new players question our political system, operate in a networked manner and across borders. Both use hybrid methods: they rely on traditional means of waging war, highly modern weapons, on gaining territory, military aggression. However, propaganda and subversion, fright and publicity are likewise means of waging hybrid war. The new asymmetric wars could hardly have escalated so quickly if they hadn’t been able to rely on information and disinformation as tools. There is another new trend: creating so-to-say media. What does that mean? Multiply your media and create modern, technically attractive media. Offer the users a multitude of content – but in essence no diversity of opinions and no liberty of expression. The forerunner of this global trend is Russia, where all audiovisual media are under the control of the Kremlin. It is an ambivalent course – and there are african imitators, which follow this path of media-mainstreaming in Africa. Rwanda is one example of a contradictory media development policy: Freedom of media is guaranteed by the Rwandan constitution and the country’s media law was liberalized in 2013, allowing journalists to collect and distribute information and – under certain conditions – to treat sources of information under confidence. There is even a new law on the access of information, also protecting whistleblowers. Forced by quite critical assumptions of the international community on the estate of civil rights, right of expression and freedom of media, the Rwandan government started a political offensive in the media sector, creating a multitude of bodies, like the self-regulatory “Media Commission”, the Media High council, a state-organ which is responsible for journalistic training and education, and the Rwanda Utilities Regulatory Authority (RURA), responsible for questions of technical distribution and licensing. Nevertheless it is not possible to report critically on the policy of president Kagame. It is not possible to critically discuss or comment his wish to prolong his mandate to a third term. The result of media-policies in hybrid and semi-authoritarian systems becomes obvious when watching or reading local media: censorship by state authorities is quite rare, intimidations and mainstreaming of people sitting in responsible media positions occur more often – and self-censorship is part of the daily life in media and among journalists. Web 2.0.technologies and platforms could bypass state censorship and mainstreaming of media. But on the other hand it is obvious: These Web 2.0 Apps can build social networks but not democracies. The DNA of democracy consists of structures, institutions and political parties but not of tweets, likes and shares. There is no Facebook revolution! The build-up of a multiparty democratic system is still a quite analog challenge. Social media could be the first step towards a change but not the last – the hardest part of constructing a new order comes after the display of the cellphone went dark. It is good news for journalists, civil societies and users in regions of conflict or in autocracies: More people are using information today because digital communication is accessible in most parts of the world. The consequence is clear: Information today has a greater influence than ever on social, economic and political developments. Why is media development the key? Firstly, people can only demand their rights in a political sphere if they have access to information. This determines issues such as education and knowledge, and ultimately a person’s personal freedom. Media does even have the power to decide on war or peace, as we’ve been seeing in Ukraine, Syria and Iraq. Think about the reality in your own country or your neighbor countries: Women’s issues in the rural areas of Burkina Faso, Mali or Uganda are rarely covered by the media. And how many reports do you remember about the lack of health care in rural areas of your country? There are many social groups who do not have a voice in national media – and neither do their major concerns such as education and health. And there are still a lot of official political and unofficial social taboos: Gays and lesbians in Uganda are politically sidelined, ignored or even harassed by the media. Classifying violent acts as “Ethnic clashes” is an absolute no-go in Kenya. And in many countries reports on the health of the president or the battle of power in the second row of the state party are impossible. This is partly due to censorship but more often it’s a result of politically biased editorial offices, corruption or self-censorship. To free information, we – the journalists – are obligated to get our users, readers and listeners engaged – to invite them to participate in content-production. The journalist of tomorrow will rather be a wise and neutral moderator, a curator and aggregator of content than a world-explainer. And another short reminder of the facts: Facebook has 1.3 billion users, around 20 per cent of the world’s population. The social network has more than 100 million monthly active users in Africa. Nearly 10% of all Africans use Facebook on a regular basis. That’s also half of the 200 million Africans that are connected to the Internet, according to Facebook. And more than 80% of Facebook’s users in Africa are accessing the site from their mobile devices. According to Ericsson, a communication infrastructure company, the number of mobiles in Africa will rise to 930m by 2019. YouTube has a billion users and a hundred hours of video are uploaded to the platform every minute. Twitter does now have over 300 million users. Instagram, Snapchat, WhatsApp and WeChat are rapidly becoming default platforms for younger audiences. Internet use on mobile phones in Africa will likely increase 20-fold in the next five years. Let us take the media mega trends in view – Think Big and act digital! Nevertheless African media-makers and users have to compete under these difficult conditions. There is no alternative for African Journalists and Media than to be prepared for this new competition in digital communication – Look at the “millennials”: media consumers born in the decades around the year 2000. How does this young generation – around 20 years – use media? What we know is: they like videos, but they do not watch TV. And they do not read newspapers. A vast majority of them gets their news from social media – especially from Facebook. 88 percent of the millennials use media reports and information via Facebook, 83 percent via Youtube, 50% via Instagram, 36 % via Pinterest, 33 percent via Twitter, 23 % via Reddit and 21 % via Tumblr. Whoever wants to get news, information or messages to these younger audiences must use web 2.0 applications. 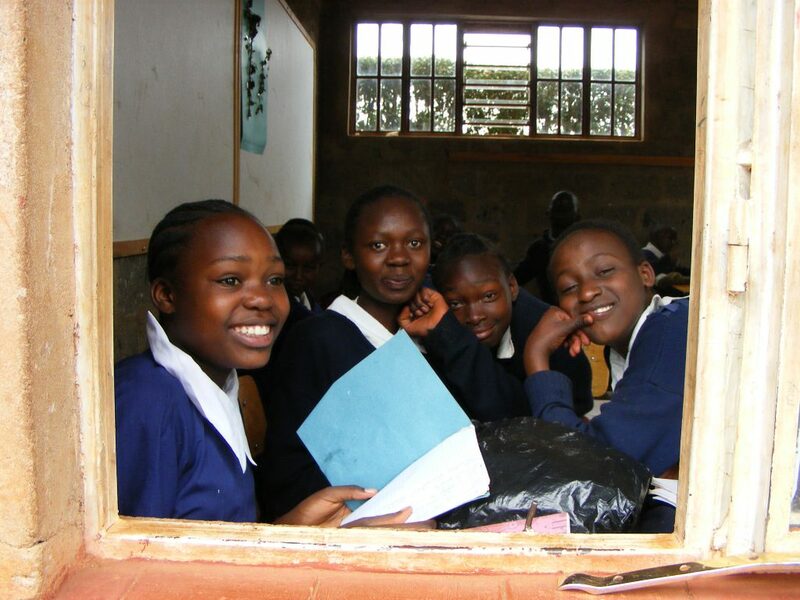 “If the news is important, then she will find me” – this statement of an America student in 2008 will soon be also a reality among urban audiences in Africa. It is time to wake up: this trend is a tremendous challenge for African journalists, media and media policy. The most serious effect is that the digital gap could become deeper. And it is not only existing between the global north and the global south. In regard to Africa it consists between poor and rich, cities and rural areas, connected and non-connected regions – and between literate and non-literate people. To overcome these gaps means to not only work on the technical access to the Web, to create ICT-Labs and expand broad-band networks. It needs a multi-level approach: We have to work on the capacities to use media – be it the capacity to write and read or to navigate in the global jungle of sources to find the relevant ones.And we have to work on the capacities of the producers, be it journalists or civil society to raise their voices in an effective manner to reach their audiences. And we should continue to work on the quality of journalists, with the aim that they could compete and interact in this new competition of Digital Communication. The Internet has fundamentally changed journalism at every stage: from research to production to choosing multimedia formats to tell the stories. This requires new skills and is the reason why partners all over the world are increasingly asking for digital training. Which interactive journalism formats are the best? How can journalistic contents be better presented online? How could we integrate user generated content in our programming? These are questions which need progressive, flexible answer which are appropriate for conditions under which African media work. We have to stop talking theoretically on the “rosy” prospects for development delivered via the Net in Africa. The reality is, that there is little chance that “the Web” or any Web Content could accelerate African development if we do not work on this capacities issues, including higher and basic education and research infrastructure. Having understood this link, the global North started to invest more in media development. It needs a fundamental effort to enhance independent and professional media production and to strengthen journalists, users and communities to deal with the opportunities of the (new) media. Independent and pluralistic media are of paramount importance to ensure that people know their rights and are also able to claim and exercise these rights. This is why KAS and also the institution for which I work, DW-Academy, work a broad strategic approach taking the digital development in the specific region into account. We built our media-development-work up on different stakeholders – in the aim to make them responsible, to built up capacities and to establish solid structures. This is the reason why we work with quite different “agents of change” in the sector of media development: on governmental structures AND non-governmental Organizations, on journalists AND on universities, on users AND on community radio stations. We support press councils, professional associations and media organizations so that they can clearly represent and protect their interests in discussions with political decision makers. If they all understand themselves as involved and requested in the challenge of media development, then we will get sustainable results. We share a deep conviction: media development is the key to more democratic, free and inclusive societies. Digital communication is offering new fields of action – and journalists and media should know how to deal with them! New asymmetric wars and conflicts pose new challenges both for the international community as well as for media development. It’s a war over minds. A war of information in which media are deployed as a weapon: to publicize and frighten, to recruit and spread targeted misinformation. The same time ISIS fighters began spreading rapidly, Russia’s armed forces invaded Ukraine disguised as pro-Russian separatists. Whereas from a strategic and operational standpoint, ISIS militants tend to move in the direction of statehood, Russian forces charted a different course: they showed up not as conventional troops but rather as non-state combat groups, in order to be invisible and flexible. But both use hybrid methods: they rely on traditional means of waging war, highly modern weapons, on gaining territory, military aggression. However, propaganda and subversion, fright and publicity are likewise means of waging hybrid war. The new asymmetric wars could hardly have escalated so quickly if they hadn’t been able to rely on information and disinformation as tools. This information offensive is the main explanation for why each month, 1,000 new fighters from around the world move to ISIS battlefields to offer their support. Some 15,000 fighters from more than 80 countries are said to be represented there – and not just from Saudi Arabia or Tunisia but also from China, Russia, Australia, and Europe. The targeted media campaign is the main reason why the Russian view of the Ukraine conflict predominates in Western media. New players like ISIS are stepping out onto the field. Other players, like the Russian state, have for several years been modifying their methods since they have come to understand: War is decided in the mind – meaning targeted media work and the viral dissemination of information and disinformation as a key weapon. These conflict actors still use regular media, television even print products. But their information campaign relies predominantly on social media and its community-based structure and functionality. They tweet and share, they comment and communicate in order to strengthen their community and recruit new supporters. And they use the credibility, dynamics and ubiquity of the social platforms in their aim to reach these target groups worldwide or in the conflict region itself. For the actors in the current hybrid wars there are good reasons for using the functions of the Web 2.0 applications intensively. Why? What do the dissimilar players in these two asymmetric conflicts have in common? They rely on narratives. They need a good story in order to establish and legitimize their ideology, their course of action in the conflict, their world view. They need models with perpetrators and victims, stories with winners and losers. These can be found in YouTube videos, in Facebook posts, in the massive numbers of polemic comments by pro-Russian trolls on media portals. Both have short-term and long-term goals: in the short term, they count on achieving narrow victories in the conflict and on gaining power and influence and enlarging their base. In the long term, however, they rely on the emergence of a new value system, a new self-understanding, aiming ultimately at an alternative identity. Such narratives are key for the new conflict players. ISIS needs attractive images and strong narratives to establish its ideology and to create a USP. 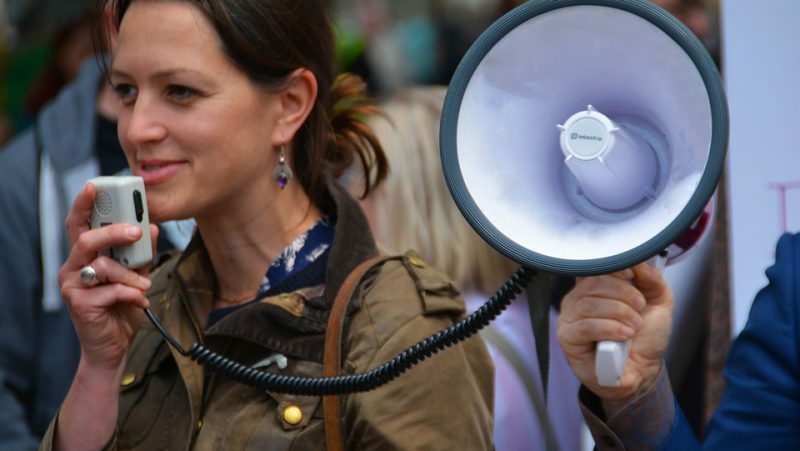 Getting the message across – that is communication strategy’s primary goal. And to convey the message to quite different target groups; be it frustrated young users in Arab countries, or Muslims in Western Europe. A battle of narratives has started – which is not limited to the conflict regions in Syria and Iraq or in Ukraine and Russia, but is transmitted worldwide by broadband connections, Facebook communities and trolls. Russia is waging war in Ukraine without having declared one. In this “hybrid war” of disinformation, economic and political pressure, and covert military operations, media play a key role. Russia’s war of information against Ukraine began long before Crimea was annexed. In this campaign unleashed by the Kremlin, the Maidan protests – as with the citizen movements in the Arab world since 2011 – were actions fabricated by the West, an “attack on the whole Russian world,” as a first step in a “military campaign against the entire Russian nation.” The “battle for Kiev” has flared up, reported the Russian media. For the Russian media there was no doubt who was behind the Maidan protests: “The USA aspire to global dominance and think that they are always right, said the famous Russian TV presenter Dmitry Kisselov on April 27, 2014. The Internet platform stopfake.org clearly shows how both governments are obviously using the media to manipulate the truth. Like for example the news produced by Russian media giant TRK Zvezda claiming that Poland has officially recognized Crimea as part of the Russian Federation. Another fabricated report produced by the Russian media claimed to be showing a U.S. Army tank with a Ukrainian trident iin Eastern Ukraine. Shortly after the publication of this picture, stopfake.org found out that it was actually taken from the website of the U.S. Army showing the tank being tested in Texas in 2013. The original picture has no Ukrainian trident. Even during Soviet times, there was never such a massive propaganda campaign as that unleashed against Ukraine. “Using selective information, half-truths, appeals to emotion, lies, and orchestrated events, a parallel reality is created in which Western-controlled fascists are at work in Ukraine, waging war against their own people and seeking to bring down Russia,” analyses Russian sociologist Lev Gudkov. Building on traditional enemy stereotypes and (with the aid of the narrative of triumphant war in the neighboring country) the hero motif of Russia as the strong world power, the Kremlin’s media campaign is working: 70% of Russians feel that they are receiving objective information about the situation in Ukraine. But the media campaign is also paying off for President Putin directly: his approval ratings in Russia have reached a high of 81%. Ukraine‘s media has also found a way to counter Russian propaganda: “Though the lies in the media are not as evident compared to what Russian media are fabricating each day, Ukraine’s media outlets keep quiet about many topics, especially when it comes to war reporting,” says Kyryl Savin, who was Head of the Kiev office of the Heinrich Böll Foundation until June 2015. What is missing are journalistic fundamentals – among journalists themselves and among the broadcasters and media outlets for which they work. Just one obvious example of this: in order to verify the official numbers of victims or wounded, journalists would only need to research at hospitals, but instead the reporting of official statements is predominant. “To the outside observer, the standards of Ukrainian journalism are worrying. Professionals here are few and far between, and popularity is bought with money,” observes Otar Dovzhenko from Transitions Online. This is accompanied by a false understanding of patriotism. “Unfortunately, almost all outspoken journalists tend to self-censorship: In times of war there is no place for criticism of the government.” This is the trend Kyryl Savin observes in Ukraine. And this is why most Ukrainians live in a virtual reality which is a far cry from the one in Donbass, Eastern Ukraine. And if someone dares to say anything different, they risk paying a high price – like the famous Ukrainian TV presenter, Savik Shuster. His popular and most frequently watched “Savik Shuster Show” was taken off the air after he invited a Russian journalist to his program. In terms of their structure and intent, the Ukrainian responses are as unilateral, aggressive and exclusive as their Russian counterparts – but their content, technical quality and distribution cannot compete with the dominant Russian TV. Official communication and media in Ukraine are responding to the Russian military campaign by imitating the Russian formats and structures. For example, as a counterweight to the glossy images of Russia’s foreign broadcaster, Russia Today, Ukraine launched its own channel: “Ukraine Tomorrow” and as RT‘s Ukrainian equivalent is creating its own image of the conflict. ”The battle against us is being fought on many fronts, the information front being one of the most important ones. In a year we have created a strong army which courageously protects us in Donbass. Now it’s time to fight back against the Russian occupiers on the information front.” This is how Ukraine‘s online army presents itself on the Internet. 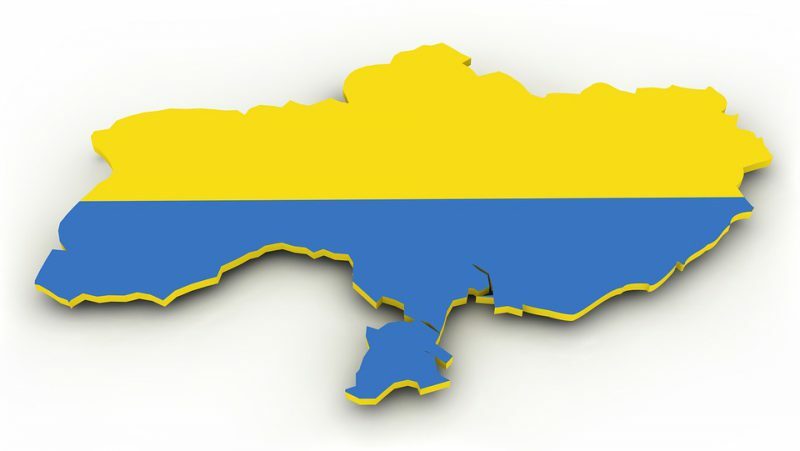 Moreover, in November 2014, Ukraine set up a Ministry for Information. Its main goal is to create a strategy for counterpropaganda: “To this end, a group of around 20 experienced bloggers – a so-called task force – working for the government was established. Their goal is to combat Russian propaganda,” says Kyryl Savin. Independent online media like Lenta.ru or Dozhd TV and also other independent voices like Echo Moscow and RIA Novosti have experienced pressure from the government. The Russian social-networking website Vkontakte made the same experience. Vkontakte CEO Pavel Durov was forced to flee the country and now lives abroad. The mainstreaming and censoring of the Web and Web 2.0 started with the mass gatherings in Moscow after the parliamentary elections in 2011. While TV, radio and print outlets were always in the spotlight of the censors, the Internet has not been the focus of the Kremlin’s attention for quite as long. However, all this changed dramatically in 2011. Three years later, Putin proclaimed the Internet a “CIA project”. The Kremlin has increased censorship, prohibited the free flow of data and undermined freedom of expression. Moscow has realized how important media are for the country’s image. And that by using media, politics can be accomplished and that domestic and foreign policy interests can be enforced. Therefore, the Kremlin’s information policy is two-faceted: within the country, media with a relevant outreach are censored and mainstreamed. All wide-reach channels are in line with the Kremlin, all independent voices efficiently suppressed. And outside the country, the media campaign is based on high-gloss products like Russia Today – and on an effective propaganda army – the trolls – using the Web 2.0 functionalities to spread the official Russian point of view. The headquarters of this armada are situated in St. Petersburg: the PR “Agency for Analyzing the Internet”. It currently employs about 600 people. Their main task: Influencing opinions on the Internet, disseminating the Kremlin’s position in a targeted manner through reader comments. The Kremlin’s media experts have understood that a successful social media campaign means that you cannot only publish and control your message, but that you have to participate in key conversations aiming at achieving a significant influence in Web 2.0 conversations. This is exactly how the Russian trolls act: they comment on reports by Western media – in English, German or French. In these comments they engage in undermining the credibility of the author’s quality or the quality of the whole product. And they produce their own “snackable” web products, for example the YouTube video “I am a Russian Occupant” which was watched by nearly 7 million (sic!) users. The Kremlin has invested a lot into these Web 2.0 activities knowing that success on Web 2.0 platforms means: building social authority. The Web 2.0 campaign has two targets: to place the official Russian perspective and to undermine and disconcert public opinion among Western audiences. This second target aims at demoralizing the enemy, be it Western media, Western policy, Western public opinion. In the programs of Russia Today, conspiracy theories and simple disinformation co-exist peacefully with professionally-produced journalistic products. This makes it difficult for users to differentiate between truth and fiction. You could have found the breaking news “Ukrainian parliament prohibits Cyrillic script”. And the same evening, demonstrations took place in Moscow: “Give us back our Cyrillic!” That was a coordinated action to create riots. This is one example of how intensively planned and coordinated information and disinformation is used. Using one-way regular media it is quite easy to create a persuasive, dominant and attractive image: this role is played by glossy TV channel Russia Today targeting foreign audiences and by the video agency Ruptly which was created in 2013. “We’re in the middle of a relentless propaganda war,” says Andrew Weiss of the Carnegie Endowment for International Peace, an influential Washington think tank. Weiss describes this propaganda as a crucial tool used by Russia to conduct its foreign policy. Moscow is looking beyond the short term, seeking to influence opinion in the long run to create “an alternative discourse in Western countries as well,” says Margarita Simonyan, editor in chief of Kremlin foreign broadcaster RT which owns Ruptly. This strategy is working, as can be seen in the reporting by German media on the war in Ukraine. Here, there are persistent images and stories claiming that radical right-wing individuals in Kiev run the government, that the Maidan protests were nothing but a campaign by Western countries, not to mention the blanket opinion that Ukrainians are incapable of statehood. These are all assertions and narratives that have their roots in Russian sources, whether public media or users on social media. This is also the source of the German discussion about the “lying press” that has unjustly cast Russia in a bad light. In the past four years, 680 men and women left Germany to join ISIS in Iraq and Syria. These are people who feel discriminated and marginalized in their own societies, they feel misunderstood and isolated. Their only way out of this is the Internet. So they seek out like-minded people in chat rooms, connect with peer groups on Facebook, Twitter and other platforms. In their quest for recognition they create their own “me-sphere” which becomes their home – and a substitute family. The group dynamics develop a virtual reality in which young people easily become receptive to ISIS propaganda. “Without the digital media as transmitter of ideas, ISIS would not have the enormous influx of young men and women from Europe. Moreover, the globalization of ISIS was only possible because of the achievements of the digital age we are living in and how we use them,” says Loay Mudhoon. Terrorism is a form of persuasive communication. Digital media play a key role for ISIS – being a persuasive form of advertising. Over the years they have learned to use them very professionally. While they once used VHS and audiotapes to convey their messages, they now harness the power of modern technology. Their messages are tailor-made for different target groups. And they use all Web 2.0 functionalities: For example, for those young men and women sitting in front of their computers in Belgium, Germany or Sweden, ISIS delivers its messages not in Arabic but in the languages of its audience. The narrative is clear: You live in an unjust society which offers you no perspective. Join us. Here you can become someone. “ISIS conveys a romantic narrative, they foster a nostalgic desire for a nation based on justice,” says Mudhoon. This is the common rhetoric they use beyond their boundaries. However, within their scope of operations they use a different language and different topics including their claim that Saudi Arabia is not sufficiently Islamic as well as their fight against this shift in the society towards Western values and life-styles. Another topic is their fight against the Shiites which they proudly present in videos, one showing prisoners kissing the hands and feet of ISIS fighters who freed them from captivity in the Syrian city of Idlib. What we need to realize in order to understand the importance of media for ISIS is that ISIS is more than a group of terrorist militants or a run-of-the-mill terror organization. On the contrary, it is a novel attempt to form a state in accordance with jihadist ideology. This is extremely important for understanding the complex structures of ISIS and particularly its media tools. For ISIS, media are an integral part of its jihadist undertaking to form a state. al-Furqān Media: considered the most important media arm of ISIS. It has released more than 160 publications in the past year alone. al-Furqān Media produces all of the important audio messages of the “Caliph” Abu Bakr al-Baghdadi. Al Hayat Media Center: produces nearly exclusively in English with Arabic subtitles. AJNAD Media: produces high-quality audio messages to mobilize and romanticize propaganda by using elements from youth and pop culture. al-Khilafa-Media: produces extravagant films as “counterpropaganda,” particularly in response to the supposed lies by the Arabic media. Albayan Radio: is the first radio station of ISIS in the capital of Mosul. Broadcasts mainly news, messages, and victory announcements of ISIS in Syria and Iraq. “al-Khilafa-TV” television channel: is a promotion and propaganda tool, allegedly planning the payout of one of these TV channels. No other information available. Dabiq: is a high-quality, graphically sophisticated print magazine in English that targets European Muslims. ISIS’s media makers use all possible means for their propaganda – digital as well as non-digital, like newspapers and magazines. The success of ISIS’s media is based on the fact that they are made by young Muslims for young Muslims. If you look at the media trends, it is obvious that Web.2.0 is the predominant gateway to reach young people worldwide. 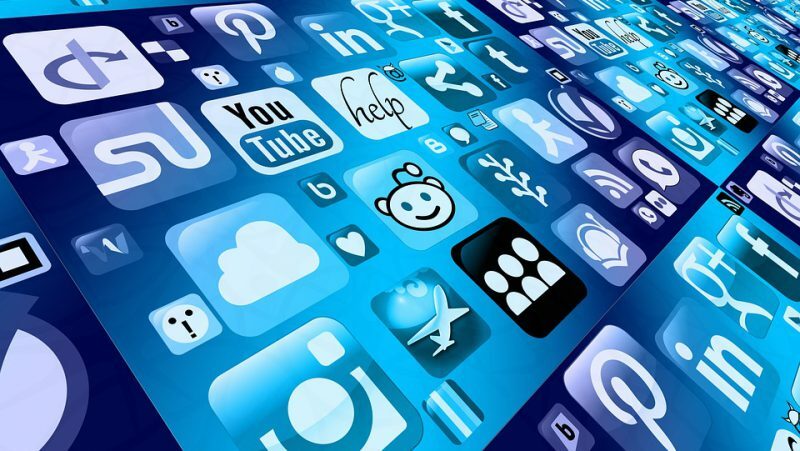 There is a constant increase in the usage of social media by young people. The current Reuters Institute Digital News Report comes to the result that the use of smartphones and tablets has jumped significantly in the past year, with fewer people using their computers for news. It recorded that more than a third of online news users across all countries (39%) use two or more digital devices each week for news and a fifth (20%) now say their mobile phone is their primary access point. The ISIS media makers understand the global accessibility and attractiveness of social media for young people – and they understand that those young people are frustrated, fascinated with violence, and yearn for support and belonging, and they deploy the power of images in a targeted manner. This is why social media play such an important role. It offers to those isolated, alienated, rootless individuals the perspective of being part of a community with “people like me”. In this virtual community they attain the social relevance they do not have in their real social surroundings. This is explains why social media are becoming a dominant source of news among young users. Credibility in content is created by the fact that this news is shared by “people like me” not by hostile or interest-led media houses. ISIS media makers understand these effects and they adapt their media strategy, using all functionalities of Web 2.0. from content/news production, sharing, commenting and communicating. ISIS content production is modular, multimedia-based and in this sense “snackable” for Web 2.0. applications. ISIS content is distributed by their own media and shared by social media – like the news on the liberation of a prison in Bagdad in April 2015, or video testimonials on war progresses in Syria or Iraq or on general video channels like Twitter, Instagram, YouTube, or others. Using hashtags like #AllEyesOnISIS and #CalamityWillBefallUS, ISIS followers have flooded Twitter in the past with their messages. Make information snackable: adapt your content to different target groupsThe information strategy of ISIS is extremely dynamic and is constantly being enhanced. Their media makers are adaptive and highly professional when it comes to successfully disseminating digital information: Use the media of your target group, speak to them in their language, be open to connecting, create a community and get it involved! This is what constitutes the success of ISIS’s information campaigns. Whether Twitter, Facebook, Tumblr, YouTube, Instagram, JustPaste, or SoundCloud – ISIS’s messages are composed and produced according to the laws of the medium. The message is packaged differently for each user group: clean and bloodless for Western users, brutal and bloody for users in the embattled countries. The video showing the execution of James Foley (in captivity since November 2012) which has so far been viewed 1.3 million times on a website that permits such films was directed at users in the West. Dressed in an orange Guantanamo jumpsuit, Foley declared the U.S. to be responsible for his death, regretted having been born an American, and exonerated others of any fault. After he spoke these words, a masked killer who spoke English with a British accent took a knife to the journalist’s throat and began to move it. Then the image went dark. Not one drop of blood was to be seen. The beheading in front of a live camera was probably simulated. In the videos targeting Arabic users, the language is completely different: as in the video showing the murder of rebellious members of the Sheitat clan near the Syrian city of Deir al-Zour – and their brutality is unmatched. Here, the aim is: fear and subjugation. That worked well – in many Syrian and Iraqi villages, people surrendered to the terrorist militants even though they outnumbered them. ISIS uses social networks in way that no other terrorist group has done before. It has long overcome the language barrier in these media campaigns, content can be found in all important languages, including German and English. Using the hashtag #mujatweets, not only Arabic but also German fighters talk about the supposedly wonderful life at the front. The message is directed at young Muslims in the West: look at this, in jihad we’re all the same, jihad knows no boundaries. And role models like the Berlin rapper Denis Cuspert who became an Islamist and jihadist role model on the Internet, reinforce this. Radicalization today no longer occurs in mosques but rather in front of the home computer. Social networks create a new public space on the Internet. Whereas these communities play only a marginal role in the social life of society and often live on its verges, an isolated, extremist community is emerging on the Internet. “For quite a long time the West did not take the radicalization of young people seriously. The common assumption was that this is not a general problem but a case for the police. And this proved to be wrong,” says Loay Mudhoon. Asymmetric wars are the wars of the future. They call into question the international order and state integrity. Their players propagate political and social counter-models, like the just Sharia state, the world power, and they do this using the corresponding media. They use existing social tensions, stereotypes, collective experiences. And they bank on long-term ideological penetration of society in the conflict zones. The viral dissemination of information over the Internet is the best way to achieve such a broad effect. This is why media are an integral part of asymmetric warfare. Put differently: the rapid escalation of the current hybrid wars would be inconceivable without the viral dissemination of information and opinions. What can media development do in societies that are affected by these asymmetric wars? It can make a targeted contribution towards protecting journalists better and placing more emphasis on their safety. This also applies to the handling of research results, sources and data. Professional media and journalists in societies affected by asymmetric conflicts need special support in order to be able to continue to work in a professional, independent manner. Media development can provide targeted advice on how, even under conflict conditions, to precisely research, question, and verify what the parties to the conflict are disseminating as propaganda, including on the Internet. Journalists have to be supported in such a way that their independence and professionalism are strengthened. In addition, media development advises journalists and media companies on how to report on such conflicts in a neutral, sensitive, yet thorough manner. How is it possible to avoid having media contribute to the escalation of conflicts? Or even becoming partial? In light of the highly professional, cross-media, viral dissemination of information by the players in these new asymmetric wars, traditional media have a special responsibility. Their reporting is the key to providing a counter-narrative to the conflict messages which exposes them as such and at the same time delivers/transmits a different message. But they have to adjust if they want to survive. There are new competitors who have a serious credibility among (younger) users. Traditional media have to anticipate and adapt to future trends: How can the viral dissemination on the Internet and its back channels be used in order to disseminate professionally produced content and make contact with users? Traditional media have to become able to create high-quality cross-media content by using new storytelling and a better interaction with users in social debates. Otherwise, they will continue to become less and less relevant, no longer reaching the young target groups in the conflict regions. The risk is great in these conflict zones that media will no longer be the Fourth Estate but will rather become a mere tool in the hands of state and non-state players. Applicable to all areas of life – from personal safety and integrity to health and education – but also to the handling and use of information in asymmetric conflicts: it is important to strengthen the resilience of these societies, i.e. their ability to surmount crises. Media development also has to take users increasingly into account and enable and strengthen them in dealing with sources. (Digital) Media literacy is important. In an age in which information is accessible worldwide over the Internet, the key for users and consumers is an increased expertise in handling this digital information. This is all the more important in that the free accessibility of information on the Internet also makes it possible to limit and manipulate information in new ways. 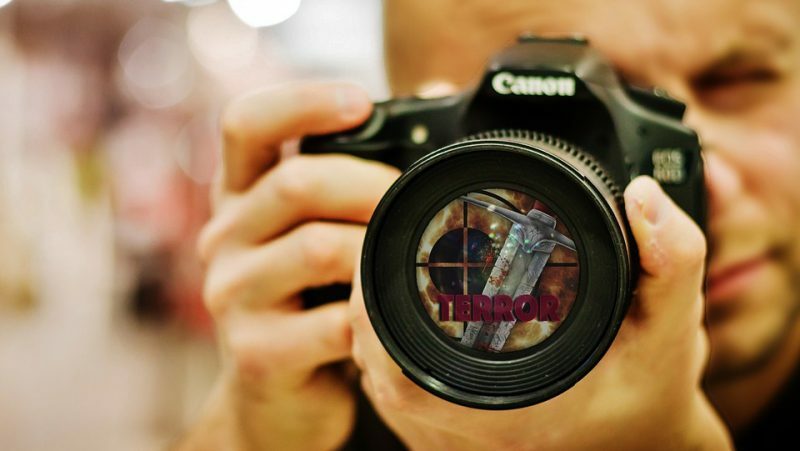 Particularly in societies affected by asymmetric wars, journalists are at risk of no longer being the Fourth Estate but instead merely a plaything of state and non-state players – censored and suppressed by state organs, economically burnt-out, kicked around between the conflict parties and working under high risk. Media development should react with a multi-stakeholder approach, supporting journalists and users in order to counteract this trend. First of all a good message for journalists as well as their clients: There are more people nowadays that use information. There are more producers, more information offers. In short: Information influence on a whole different scale than 50 years ago the social, economic and political development of entire regions and their societies. Without social media, the Arabellion would probably not have happened. The strengthening of the civil society in the Ukraine since 2004 in an authoritarian and censored political system was possible because people were able to exchange information and encourage each other through the web. There are no information-free spaces in this world anymore. Today real-time information is accessible almost everywhere. And deservedly so, Media development is a central field of development policies. Therefore we needed a new, broad, interdisciplinary approach. Modern Media Development focalizes not only journalists. Why? Two core beliefs are guiding us. Firstly: People can only politically audible demand their basic rights if they have access to information. This question decides about education, knowledge, and eventually about personal freedom. Sometimes media even decide over war and peace, as for example in the Ukraine, Syria, or the Iraq. Under which surrounding conditions can journalists work? According to which criteria and professional standards is content produced? Do all civil groups have access to media? Are their voices heard? Can people handle the flow of information and use it? Women on the country side of Burkina Faso, Kirgisistan or Bangladesh for instance have no voice in the media. Their topics don’t show up – and a whole range of other important topics don’t show up either: Education and health topics for example. Taboo topics are bypassed in a lot of the countries that we work in: That applies for the ongoing violence in Columbia as well as the recent past in Guatemala. Gays and Lesbians in Uganda get politically harassed – excluded from the media or even haunted by media. Sometimes it is censorship, more often political one-sidedness of editorial departments, corruption or self-censorship leading towards these situations. Successful and modern media development, the way that DW academy is doing it, is therefore intentionally focusing on a broad strategic approach. What does that mean concretely? It includes for example the work at political surrounding conditions – through guidance from government offices and NGOs. But it also means advising media and journalists with the development of new business models, so that they stay or become economically independent. We support professional interest groups between journalists, to more clearly represent and protect their interest in the dialogue with political decision makers. Modern Media development is working in multiple strategic fields. We count on different partners and project execution organisations – and we know: It takes a long breath if we want to be measurable and sustainable. Therefore we are working on long-lasting country strategies designed for three years and don’t just think from workshop to workshop. One thing is for sure: The future for our journalists and media will be digital in most of our regions – and it has already started long time ago in some of them. A few examples out of practice: In Latin America for instance you’re falling over game-changing and innovative ideas especially in the digital area: Lots of those alternative media project on the web – one example is “Plaza Publica” in Guatemala, with whom DW Academy works together – focus on investigative research. They are run by committed citizen journalists and don’t have the support of a classic media company. Those projects take courage to address topics within research and reporting that “classical” media rather don’t or just tendentious cover. Amongst other things the refurbishment of military dictatorships. Developing countries are in many Media aspects on the fast lane! It is important for actors in Media Development like DW Academy to get those actors into a dialogue: Just recently citizen journalists met up under the moderation of DW academy to discuss the question: How can digital technologies be used to strengthen the freedom of opinion? Whoever works in the media development, must also be a trend scout – Media Devlopers have to make a contribution to the future of media development – support innovative ideas especially in the digital area. Because media are being used as weapons in the IS’ digital jihad as well as Russia’s hybrid war in the Ukraine. The IS fighters are all digital natives. Russia’s media strategy is also highly efficient and targeted: Independent inland media do not exist anymore. Human rights? They don’t play a role, neither in the digital jihad nor for the fight about heads of state propaganda bloggers – Just as little as for the hate preachers whose speeches are supposed to reach their audience through radio or TV. Therefore media development must promote the competence of dealing with media contents. This applies for social web-media as well as for conventional TV, radio or newspapers: If people call out on violence through radio stations in the Muslim north of Nigeria, or misinformation and warmongering is placed on Ukrainian or Russian web pages – then the users, listeners and viewers of such resources are demanded. They must distinguish between true and false, between facts and opinions or propaganda. With the offer “Media Literacy”, Media Development starts with the users so that hate speeches, propaganda, agitation and calls for violence do not find any echo. Journalism is digital – and that worldwide, although at different speeds. The web is changing journalism fundamentally – from the research, over the dramaturgy and the question of how I tell a story in a multimedia way – and that demands new competencies and skills. Journalists all over the world therefore demand for offers by DW Academy in the field of digital work. What do participative journalistic offers on the web look like? How can journalistic content be told and designed in a web suitable way? DW Academy is focusing on central key topics of the digital development: For us it’s about effective social media strategies for media actors, about ethical questions when working with social networks, about data journalism and research on the internet, digital security, as well as mobile reporting. Thereby it’s not about importing nice development ideas or workshops from the global North – but about supporting target groups and partners to walk their own path. That is an exciting, demanding and enriching task. Media Development – understood as an interdisciplinary and mutli-stakeholder issue means: to enhance and facilitate the access to information, to develop and strengthen solid professional content and to support people in rural areas to use media. And there is a common vision behind: to create sustainable structures and conditions to make good and professional content happen . How can media contribute to international development cooperation? Ute Schaeffer, Head of Media Development, says that access to information in the digital age is more important than ever. We’ll begin on a positive note – for journalists as well as their “clients”. More people are using information today, and more media producers and information sources are available. In other words, information now has a greater influence than ever on social, economic and political developments in regions and their societies. The Arab Spring, for example, could never have happened without social media. And the strengthening of Ukraine’s civil society as of 2004 was possible – despite censorship and an authoritarian political system – because people could exchange ideas via the Internet and develop stronger voices. That’s why DW Akademie’s mandate to develop media has become more important – and more challenging – than ever. Information is now accessible in various degrees in many parts of the world. As a result, media development has become a central aspect of development policy. DW Akademie is meeting this challenge with an innovative, interdisciplinary approach. In the 50 countries where we’re working the reality can be bleak. Women’s issues in the rural areas of Burkina Faso, Kyrgyzstan and Bangladesh are rarely covered by the media, and as a result neither are major issues such as education and health. Topics that are taboo in many countries are ignored, such as the ongoing violence in Colombia and coming to terms with Guatemala’s recent history. Gays and lesbians in Uganda are politically sidelined and ignored or even harassed by the media. While this can be due to censorship, more often it’s a result of politically biased editorial offices, corruption or self-censorship. Successful and modern media development as conducted by DW Akademie requires a broad strategic approach. This can include coaching government staff and NGOs with regards to political frameworks, for example, or helping media and journalists develop business models so that they can remain, or become, financially independent. We support press councils, professional associations and media organizations so that they can clearly represent and protect their interests in discussions with political decision makers. DW Akademie therefore has various focuses in the countries where we work. We rely on different partners, and are well aware that it can take time to produce measurable and sustainable results. This is also why our country strategies run for three to four years instead of from one workshop to the next. Our country coordinators are media development specialists on location, familiar with its constraints and challenges. They also have wide networks. Our goal is not just to know what moves our target groups but also to be aware of potential, future issues that could effect the regions where we’re working. One thing is clear: the future for journalists and media outlets in most regions where we work is a digital one, and it’s well underway. In Latin America, for example, there are numerous groundbreaking ideas online. Many of these media projects – like Guatemala’s “Plaza Publica” which DW Akademie is supporting – are based on investigative research. These alternative projects are run by dedicated citizen journalists, and without the backing of classic media corporations. Courageous projects like these research and report on topics that traditional media won’t touch or are reluctant to do so, such as coming to terms with a country’s violent past. But there is progressand DW Akademie is bringing together innovative actors to exchange ideas and approaches. DW Akademie recently organized a meeting for digital pioneers from various countries to see how new technologies can be used to strengthen freedom of expression. People who work in media development also need to be talent scouts. We are aware of ongoing developments, especially in the area of digital media. Whether it’s the Islamic State’s (IS) digital Jihad or Russia’s involvement in the conflict in eastern Ukraine, media are being used as weapons. IS fighters feel right at home in the digital world. And Russia’s media strategy is equally efficient and geared to its target group. As a result, independent media have disappeared. Human rights don’t play a role in the digital Jihad, or in the minds of propaganda bloggers, or in hate speeches aimed at TV and radio users. A part of media development is about teaching skills for working with media content. This applies to both social and traditional media. 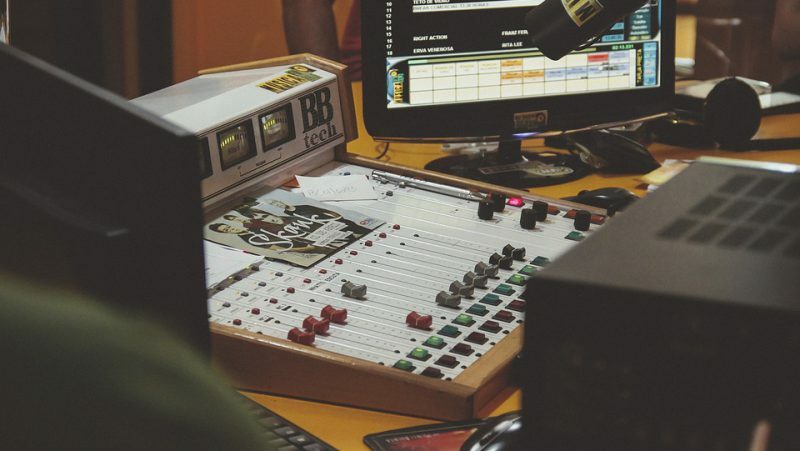 When calls for violence are broadcast on radio in Nigeria’s Muslim north, or misinformation and warmongering appear on Ukrainian or Russian websites, that’s when users, listeners and audiences need to know how to work with various media formats. They need to be able to distinguish truths from untruths and facts from propaganda. That’s why DW Akademie also focuses on media literacy so that hate speech, propaganda, agitation and calls for violence evoke no response. But the Internet also offers open spaces for societies, development issues and press freedom. In Egypt, for example, the only remaining form of independent media is the Internet; all others disappeared in 2014 as part of the official anti-terror campaign. This also affected universities, non-governmental organizations and civil society. Journalism has turned digital all over the world, admittedly at different speeds. The Internet offers a platform, a two-way channel for distributing different media formats as well as receiving feedback. The Internet has fundamentally changed journalism at every stage: from research to production to choosing multimedia formats for telling the stories. This requires new skills and is why partners all over the world are increasingly asking for digital training. Which interactive journalism formats are available online? they ask. How can journalistic contents be presented online? DW Akademie focuses on key issues in digital developments such as effective social media strategies for media makers, ethical questions on the use of social media, data driven journalism and online research as well as digital security and mobile reporting. This is not about passing down fancy development concepts from the global North to the global South, but about supporting partners in pursuing their own paths. This is both a demanding and enriching task for us. And it’s why we’ll continue to find long-term answers to the question that essentially drives us: what will remain once we’ve left?